Why are linen tea towels the best for any kitchen? Why do experts choose only linen tea towels for themselves? It’s simple. 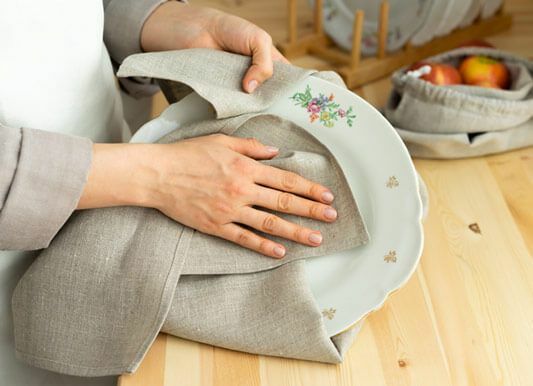 A linen towel wipes dishes perfectly, leaving no trace and dries quicker. 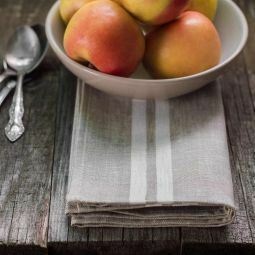 Linen dish towels are not afraid of time and become only softer after any wash. Antibacterial properties of flax help linen dish towels keep their freshness. It’s high time you also should appreciate their unique properties! We also recommend you to pay attention to our collection of useful and beautiful table linen.